We are not just competing with mighty challengers from the same state, but instead are competing with the best people from across the world, through use of the new online examination software system. A student from an Asian country can today give test in the any country for globe, thus competing with other global competitors from across the entire world through the new web-based exam systems. With online examination system, a student answers all test queries through his computer and later submits them to the institutions who handling the online exam. These answers are then evaluated by Just Exam software which already has the responds to the questions fed into its system. The answers are analyzed and scored instantly thus saving valuable time which is usually spent by the examiner in reading and checking the answers one after the other. Online Just Exam comprises of various modules, such as the Student details modules, authorization module, the subject and question bank management system, test paper management, examination evaluation module and finally the result module. Thus, Just Exam is ideal for optional questions and other plagiaristic questions. For every question asked, the student needs to select the right answer provided in the given options. Once the questions are answered and then submitted to the software system, the software will score the student after optimize his answers with at least ones already fed into its software system. After the evaluation is performed, the result for the test is also generated by the system based on its result method. The generated score which comprises of the students score, time spent for the exam to be completed and the number of students passing through the examination is then sent to the student within minutes of the examination. 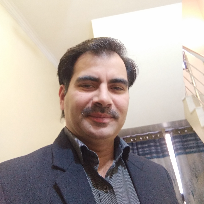 Anand Sir is ex lecturer in post graduate college (Janta Vedic College, Baraut, UP) and having 15 Years teaching experience to teach B.Sc/M.Sc standard students of Indian University as well as US/UK Students. His mission is To provide world-class education through latest technology and high quality educational services to students around the world so he launch an International Online Educational Company. As a student, I appreciate this moderns technology of education because with the help of this system, a student can give test according to his/her covered topic and syllabus. Interesting thing of this software is that not do the test in a single pattern. In this system, exam pattern is depend on students choice. This application is totally different to others because in this system every function works according to users choice. No extra effort to know about this application. Before using of this application, my confidence level was very poor. But after using this system, i feel very confidence because i can easily compare my score with other students and make sure my position where i am standing. If Internet connection and electricity becomes very cheap in our country, then Online Examination system will be perfect and best for students in every group. Without it It may be costly then manually. It is very unique application for all. In this system, no need to carry any types of study material. With the help of mobile, we can give the exam and check our performance in all or a single subject. I am very thankful to this system. After using this software of education. I am taking interest in my study because when i give exam. every time, i see different question not repetition of a question again and again and i compare my score with score of other students also.